Indonesia, with its approximately 245 million inhabitants, more than 17,000 tropical islands, is an interesting holiday destination, especially the resort island of Bali. But Indonesia can be more than just a tourist hotspot. The country consistently records sound economic growth and the Indonesian markets are booming in many areas. Foreign investors are welcome, of course. Indonesia provides lucrative business opportunities for innovative start-ups and companies seeking new markets. The market entry into Indonesia, however, is not that easy. Due to the travel and time distance, but also because of the maze of local rules and regulations, setting up a business in Indonesia can cause a lot of headache. Indonesia is a country full of licenses and permits, which does not make it easy for foreigners to establish and operate business. For foreign investors, three ways to operate business in Indonesia exist. If you want get started and explore the market, you can, of course, always enter with a visa to attend trade shows or to look for potential customers. However, this is not always promising, because in Indonesia, business is based on a deep and long-term development of trust. A quick shot is rather rare, and a detailed look into the market, knowledge about country and people is absolutely necessary for long-term and profitable business. When the first contacts are established and orders are hauled ashore, the next step towards a local presence can be taken. To do so, Indonesia offers foreign companies the opportunity to open a local representative office. The opening is easy and not connected to huge investments or set-up costs. A representative office provides the possibility for various local activities, i.e. monitoring the work of a local distributor, exploring the market, initiating orders or simply keeping in touch with your local customers. 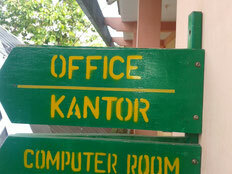 Yet, a representation office is bound to some restrictions regarding business operations in Indonesia. It is not allowed to actively conduct business activities, such as concluding contracts with customers or to sell products in Indonesia. This always needs to be done by the parent company. 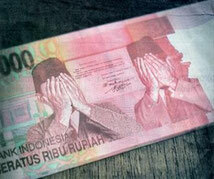 The representative office is not allowed to obtain income in Indonesia. The final step into the Indonesian market is establishing your own local company. For foreign investors, only one form of company establishment is possible, namely by opening a so-called PT (Perseroan Terbatas). This is a limited liability company, which roughly corresponds to a LLC or PLC. Indonesia generally allows foreign investors to hold 100% ownership of a local PT Company. But there are some restrictions for several business lines, where either a local partner needs to be involved by a share minority, a share majority, or by total restriction for foreign investment. Those restrictions depend on the business you intend to operate in Indonesia. Before starting your investment in Indonesia, you should definitely get in touch with a good consultant to verify if and how your business can be set-up in Indonesia. Establishing a company requires at least two shareholders. The company must have a Board of Commissionaires and a Board of Directors. However, this does not necessarily mean the need for a large body and many people holding positions. From a legal perspective, it is sufficient, if one person is entrusted with the task of the commissionaire and another person with the function of the director. One of the shareholders can act as a operative director and the other takes care of the Supervisory Board. One very important point, when establishing a business in Indonesia, is the so-called Mandatory Investment. It specifies the minimum amount the foreigner intends to invest in Indonesia over a period of three years. The investment regulations, issued by the foreign investment board (BKPM) require currently a minimum investment of 10 billion Indonesian Rupiah (equivalent to about 720.000 US$). This amount can differ in several business areas and it is advisable to check it in advance. This investment must not be applied immediately, but the investment plan must show how the overall investment sum should build up over a period of three years. The minimum capital for the company will be determined from the Mandatory Investment. According to the law and local regulations, the company capital needs to be at least 25% of the investment amount, but not less than 2.5 billion Indonesian rupiah (equivalent to about 180.000 US$). The company capital has to be either put directly into an Indonesian bank account, when the registration process is finalized; or there must be a notarial deed that the money is available and will be deposited, once the business is set up and running. When all these hurdles are taken and the, so-called, Principle License is granted by the investment authority, the set-up and registration processes are similar to a limited liability company's anywhere else in the world. A local notary confirms the company's Articles of Association, the company will be registered with the relevant authorities, a local tax payer number needs to be obtained, and a local bank account can be opened. The Principle License is a business license valid for three years (depending on the field of activity). Before the end of these three years, the company must apply for a permanent business license. The issuance of this final business license depends on the seriousness of the project. Thus, the authorities check whether the investment plan has been met and if there are real and physical operations of the company in Indonesia. The complete start-up process is lengthy and may take up to one year. Before issuing the Principle License, conducting active operational business in Indonesia is not advisable, because it will trigger a lot of trouble. But when all necessary licenses are issued, there is no further obstacle for good business in Indonesia. Operational business requires playing by the rules by meeting some mandatory compliance and reporting regulations. Of course, a company operating in Indonesia is required to submit tax returns and tax reporting. There are several other legal requirements, such as manpower approval plans, investment reporting, local registrations and, of course, the proper accounting works a company has to follow frequently. To meet all the local reporting requirements and compliance standards and to make sure not to miss any due date, one should take the advice of a local consultant or hire a trustworthy service provider to handle such topics. Indonesia is a very interesting market, particularly for foreign investors, who can cope with some obstacles and challenges. Once these hurdles are mastered, business in Indonesia can be very profitable and enjoyable in the long-term. 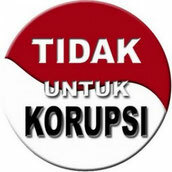 Corruption is still present in many places in Indonesia. Although the situation has improved markedly in recent years, foreign investors are still directly or indirectly confronted with corruption issues. Most of the time this arises by being asked to pay any “speed up fess" or when facing problems by a dubious offer of persons to handle the case. Corruption is a swamp from which one, once stepped in, can no longer escape. Keep yourself away from corruption, even if some processes may take longer. If you are not clear whether you have to pay a local fee or the amount actually goes towards a bribe, we also recommend involving an expert consultant whom you can trust. Take time and don’t rush the business. Plan your steps far ahead and have a solid strategy. Look out for a reliable business partner, who either might be a local person whom you can trust or a reliable consultant. Follow the rules and regulations of the country, even if they might not make sense to you. Never think that everything is “easy going” in Indonesia. Have sufficient funds to set-up the business. Registrations, set-up and good staff always costs money. Even when things make you sometimes feel desperate, keep going. There is always a solution. If a competent advisor tells you that your line of business won’t be allowed in Indonesia, do not try to challenge this by finding a way around. This will trigger a lot of trouble. Never ever try to solve problems you may encounter by bribing or giving “speed up money.” It will cost you more than money in the long-term. Learn about Indonesia, its history and business culture. Together with some language skills, this will be your key to successful business in Indonesia. If you have questions or need support when doing business Indonesia Indoconsult is your reliable partner. One of nice publication ever made by the Indonesia management consultant ! 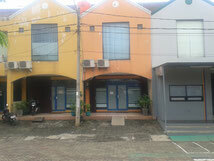 especially in describing the know-how of entering new business in Indonesia. That are the factual matters should be known by any foreign entrepreneurs. But, I may add one more significant issue by doing business in Indonesia, i.e. human capital, which has constraints in the headcount limitation by the company's head quarter and employment laws and regulation. Herewith, we might have an appropriate solution for such issues, i.e. a secondment services. The powerful solution that fit with any multinational companies in Indonesia. We are welcoming any strategic alliances to win the Indonesia market.